Create a MyEmma Email Marketing Group if you have not done so already. 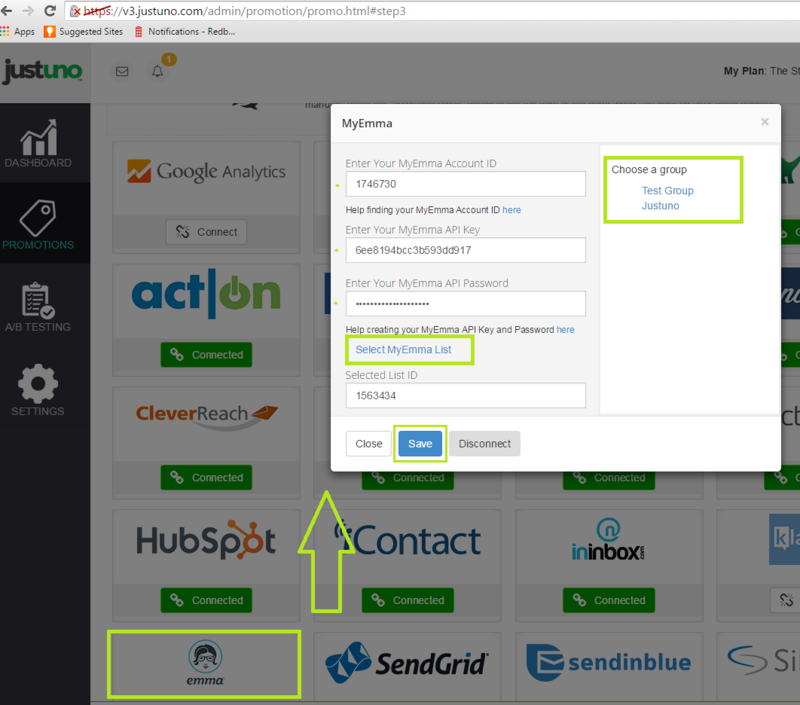 Next step is to copy the information needed to access your account through the MyEmma api. 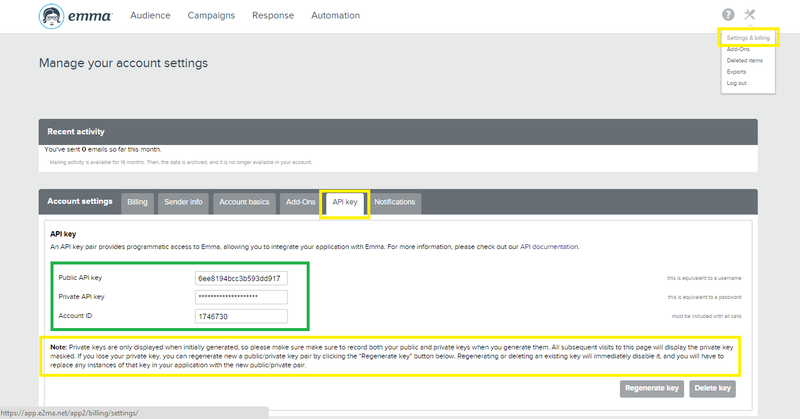 Navigate to your Account Settings > API Key tab, generate an API Key and Secret and save all three to use in our Admin. 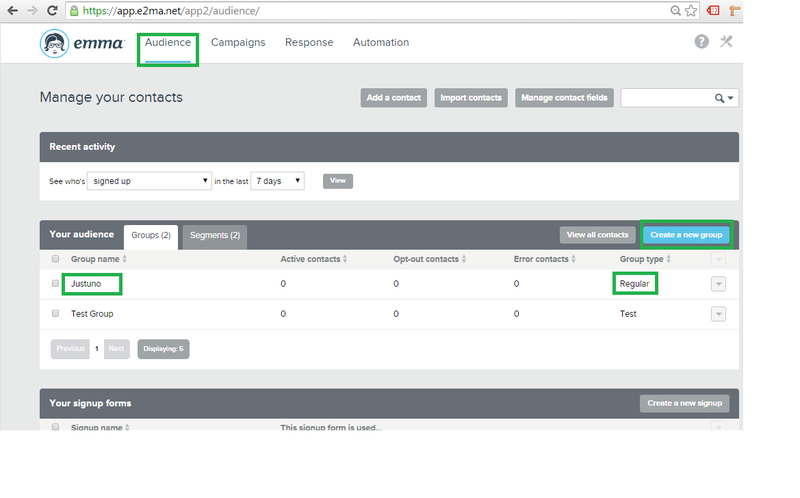 On the "App Integration" tab, locate and click on the MyEmma "Connect" button to launch the configuration options. Your Justuno will now sync new signups to your selected MyEmma list as they come in.